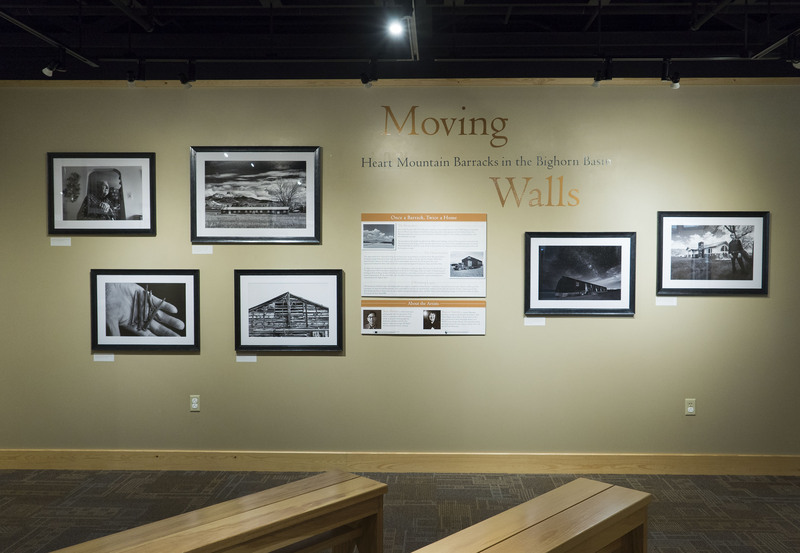 A special traveling exhibition featuring 16 wood-framed photographs (31 7/8” x 23 3/4″ x 1”) and 4 wood-framed photographs (38” x 28” x 1”) with glass covers. Gallery wall space must be equal to or greater than 700 square feet. Rental fee costs and shipping costs are available upon request. Contact Kate Wilson at katew (at) heartmountain.org or 307-254-8352. Public talks from the artists featured in MOVING WALLS are available. The book and film are available for screening and discussion to accompany the exhibition. Contact Sharon Yamato at sharony360 (at) gmail.com. More information on the exhibition can be found in the Heart Mountain Wyoming Foundation Newsletter (Autumn 2017).